We believe in simple, elegant, search-optimized sites. Our specialty is sites built with free content management systems (CMSes) that allow you and your staff to edit and update information in an accessible, easy-to-use web interface. Why buy a site that you don't own and can't maintain? 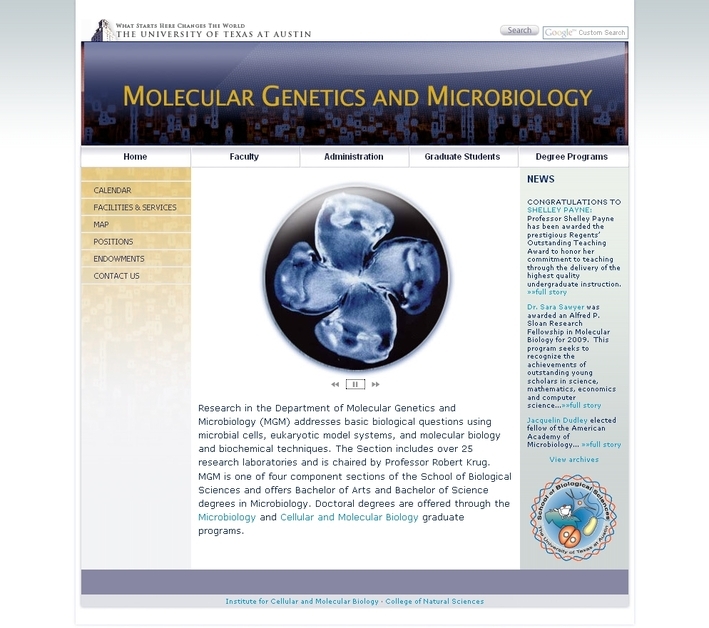 Complete site redesign for the Molecular Genetics and Microbiology program at the University of Texas in Austin.